Choose your project and our real estate business coaches will help you develop creative strategies to maintain and build a successful career. Whether you are a seasoned professional or fresh out of our licensing course NYREI’s personal coaching can help you achieve your real estate career goals. NYREI brings you this one-day training which gives students the practical, hands-on experience they need to become successful foreclosure and short sale investors. NYREI’s 2 day Real Estate Investor Training Program provides focused training that covers all aspects of real estate business. Profit Lab is a powerful way for you to start investing your way to wealth in shortest time possible. Work side-by-side with a real estate mentor to make offers and close deals with educated authority. In this accelerated learning program we will teach you everything you need to know about buying and selling investment properties for yourself or your clients. Learn the ins and outs and best practices of short sale negotiation. Knowing how to work with your client and the banks is critical to success as a short sale specialist. A BPO stands for “broker price opinion”, and it involves using a process very similar to an appraisal. 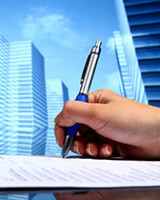 Companies hire a real estate agent to prepare an opinion of value. Be the first to know when a property is going on the market and get the listing for yourself, your broker or firm.